CROWDFUNDING platforms have become the new way to shop for the latest new and innovative things. More women are using their pursepower to shop for goods and services that are ethically aligned with their values or interest more consciously than ever. In the wake of the terrible garment company disasters in Bangladesh it has become increasingly important to choose carefully what you spend on – or invest in – your hard-earned money. 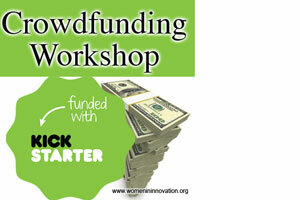 The crowdfunding movement has brought to light some unforeseen benefits. For example, the innovators and entrepreneurs who are presenting their products and services on various crowdfunding platforms have created an interesting pre-retail option for consumers and investors. As many crowdfunded projects are based on local manufacturing, there is a potential for creating new jobs as well. Seattle-based innovator and entrepreneur Margaret Spencer’s DRES System Kickstarter project proved to be a successful example of a case in which people used it for pre-retail shopping, not just for investment purposes. Her dresses became popular both with women who want to look their best for their body types and also with some famed fashion designers who appraised her being the next “Donna Karan”! Among other things, Margaret uses sustainably harvested bamboo and has the dresses made in the Northwest. Excited and enlightened by her success, Margaret will be teaching a Kickstarter Primer to help others succeed as well. She will be sharing tips and tangible tools based on her experience how to be successful in a crowdfunding campaign on May 9th in Bellevue. Go to our Events page to register.